Android 4.4 KitKat brought with it something very different and unique, something that will shape up the future of Android as a smartphone and tablet platform. Well, what’s new in that, you might ask, since almost every major Android iteration brings something new any way. What this one brought was a change to the way your system behaves, and interacts with apps that you install. 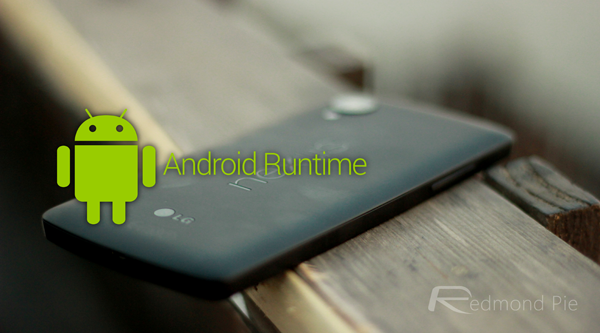 Introducing Android RunTime, or ART, for short. Simply put, ART is the future of Android. It’s the new runtime environment and Android virtual machine that will replace the Dalvik VM completely, as bugs are ironed out and mainstream acceptance is ready. Since the beginning of the platform, Android has used Dalvik’s Just-In-Time (JIT) approach for building app caches and providing user a smooth experience. With ART, Google has changed the compiler to Ahead-Of-Time, which basically compiles all the app data before you launch the app and this delivers a faster user experience with minimal to no lags. 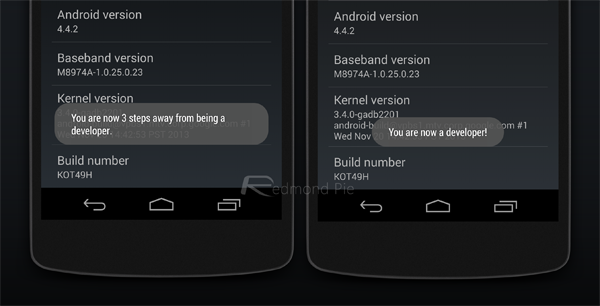 With Android 4.4, ART was introduced but it wasn’t entirely ready for several reasons. One, the apps that populate Play Store weren’t ready to adopt ART compilers, and then there were stability issues as well. However, with Android 4.4.2, the VM is pretty stable, and should you wish to give it a go on your Nexus 5, 4 7 or 10, here’s the simple and easy to do trick. 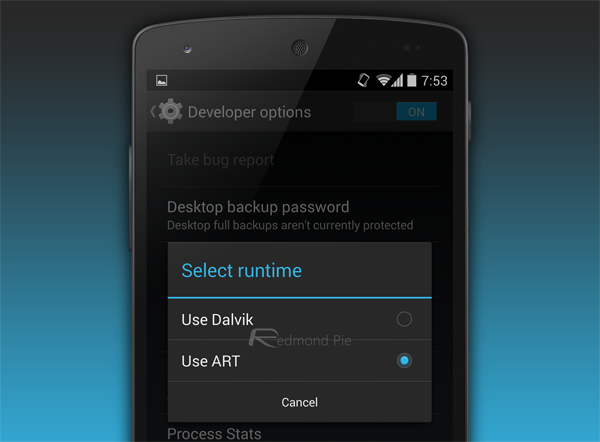 Before you can switch from Dalvik to ART, you’ll need to enable the Developer Options on your device. With the recent builds of Android, they’re hidden by default, although enabling is pretty easy. Step 1: Go to Settings > About on your Nexus device. Step 2: Locate the Build Number field and start tapping it repeatedly. You’ll see a few prompts telling you that you’re just a few steps from becoming a developer, followed by a final prompt that Developer Options have been enabled. This one is pretty easy, too. 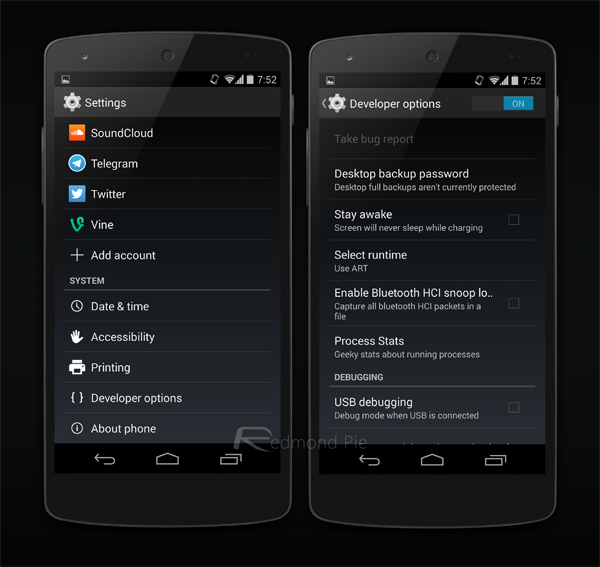 Go into Developer options on your Nexus device and scroll down to locate “Select Runtime”. Tap that and change it to Use ART, and that’s it. As soon as you make the switch, the device will need to reboot. This boot will take approximately 20 minutes (could be longer based on installed apps), during which the OS will change all your apps to ART. Don’t worry – your app data is safe. Once it reboots, you’re good to go! ART may be the future, but be advised that some apps may not work properly until their developers adapt them to the new runtime. Still, by converting to ART, you have now joined an exclusive club of Android daredevils that others would envy. Enjoy! Since Redmond Pie is a Apple friendly site I would be very very leery of suggestions to help Android folks just sayin.